Arya's first look as Vishwa in Rajaratham had created quite a stir. Apparently his look in the film was inspired by Eega and Baahubali actor Kiccha Sudeep. Sudeep had earlier worked in Anup and Nirup's father Sudhakar Bhandari's kannada teleserial Premada Kadambari in the 90s. Ever since, Anup and Nirup would discuss story ideas with Sudeep in mind. Anup even came with a script during his engineering days which he had titled "Yodha" in which he wanted Sudeep to play a cop for the first time. When Anup directed an award winning short film WORDS, it was Sudeep who came to the press meet as the guest of honor in 2010 and was all praise. Back then Anup was working on the initial draft of Rajaratham. 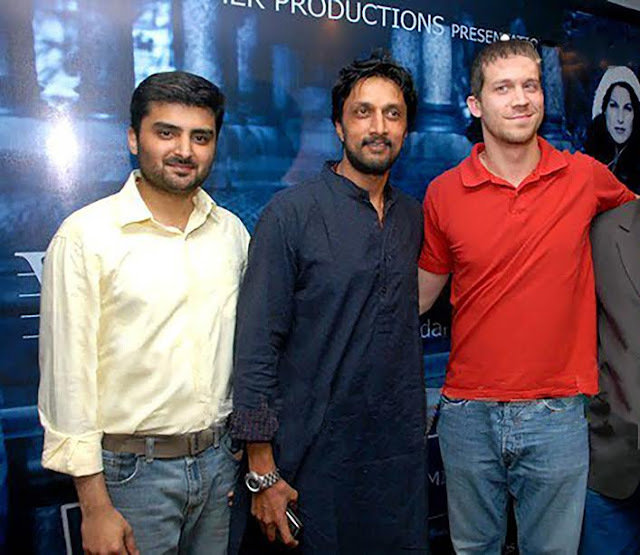 Sudeep's attire for the event, a blue kurta, jeans and sandals, immediately struck a chord with Anup. It was exactly what he wanted Vishwa's character to look like. When Rajaratham pre-production started, he suggested the same to his wife Neetha Shetty, the costume designer of Rajaratham. She used that as reference to come with Arya's look for the film. Arya's assistants loved his look so much that they apparently felt he looks his best in Rajaratham. They were used to Arya romancing girls on screen and were happy to see their boss in a different character in a dashing look. They would jokingly say that director Anup Bhandari was torturing him so much that Arya would have his dialogues in front of him while eating, sleeping, in the gym, literally everywhere. Arya was totally focused on ensuring that he got his lines and his expressions right as Telugu was not his first language and would always be seen rehearsing his lines. Being a big fan of RangiTaranga, he wanted to ensure that he gave his best to the role that he lovingly agreed to do. "Arya was one of the most humble person's to work with according to Rajaratham team. He would be on sets on time and would do anything that the role required without questioning" said director Anup Bhandari.